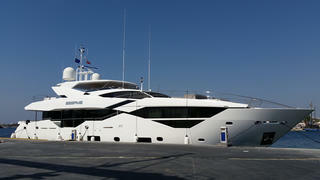 The first hull in the Sunseeker 116 superyacht series has been delivered to Turkey and named Sesame. 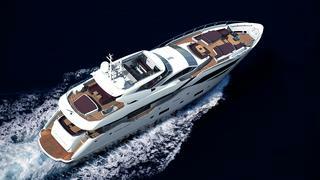 The new arrival is part of the “next generation” of 30 metre-plus yachts from Sunseeker International. 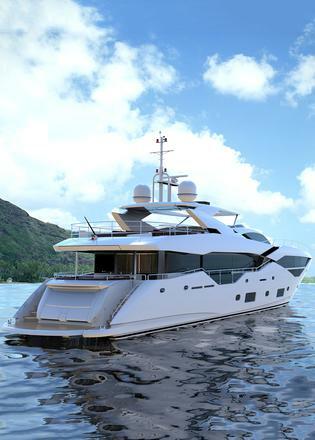 The 116 is built on the platform of the Sunseeker 115 Sport Yacht and improves upon this proven model. Beyond extending the overall length to 35.20 metres, the Sunseeker 116 also features an updated new superstructure design, sporting rakish and powerful-looking exterior lines. 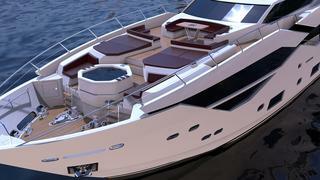 Gary Cleaverly, director of Sunseeker Turkey, said: "Sesame will be used privately by the owner and his family. Having ordered the boat nearly 18 months ago, the owner has spent a great deal of time customising the interior, including special bulkhead features and custom handmade dining table." The layout of the Sunseeker 116 makes this a great yacht for entertaining. The foredeck, for instance, is an entertainment hub in its own right, with the option of hosting a large hot tub, while up on the flybridge, a retractable sunroof covers a lounging and dining area, and the standard hot tub. Crew access has been considered as well, with electronically operated carbon fibre gull-wing doors giving easy access to the wheelhouse from the side decks. 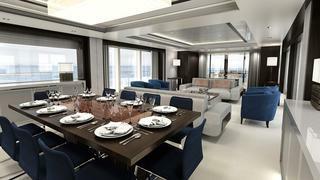 The interior of the new Sunseeker 116 luxury yacht has been primed for entertaining as well, with a large main saloon boasting full height windows and a dining room seating 10. 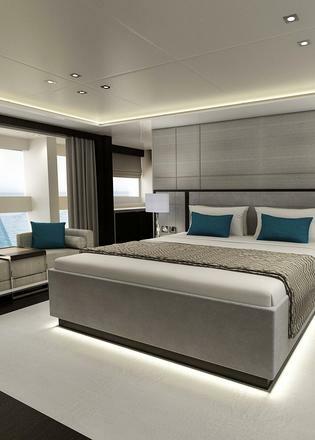 The master stateroom also features larger and lower windows designed to open up the space and let in more light. 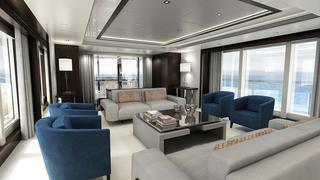 Sunseeker notes that the layout and features of the new Sunseeker 116 can be customised to suit the owner’s wishes. “Like all our next wave of superyachts, every element of the 116’s design and layout can be individually tailored through our unique ‘Bespoke’ service,” said Sean Robertson, sales director at Sunseeker. What hasn’t changed is the expected Sunseeker performance. Riding on a deep-V hull, Sesame will cruise at 19 knots with a maximum speed of 26 knots, thanks to her twin MTU Diesel engines. Sunseeker's next generation design can also be seen in Zozo, the first hull in the Sunseeker 131 Yacht series, which was launched in January. The current largest Sunseeker yacht, Blush, features in our list of the best British superyachts.